Louth is a small market town in the foothills of the Lincolnshire Wolds, an hour by bus from Lincoln. Main feature of interest, St James’ Church in the centre. Monday quiet, few people around, many shops shut, too many have closed down, even the local newspaper closed down, a town that appears to be dying. Caffe Nero moved in, local tea shops hit hard. What does that say of the local tea shops if they lose custom to Caffe Nero? A handful of foodie shops worth knowing about, a deli near the church,a workers coop, a cheese shop. But although the deli near the church had Dark Woods coffee, it was ground, not freshly roasted and not the coffee they served. The cheese shop tea from Lincoln tea and coffee, which if anything like their poor quality coffee, will not be good. Stokes as in Lincoln, has more or less a monopoly on tea shops serving their coffee, which means no quality coffee. One tea shop made the point they did not use Stokes, another is getting rid of Stokes as the service poor. An ice cream parlour on the way to the bus station, ice cream ok, not good. Coffee would not say, others may jump in the act. This is laughable. If have quality coffee, prod to say where it comes from. Impressive but pricey bouquets made from cupcakes. Places to eat a little tea shop and a pie shop. Celery and cashew soup excellent. As was the quiche with salad and new potatoes. The coffee awful. Poor quality catering supply coffee, someone clueless on how to make coffee. Chocolate dumped on a cappuccino, the cappuccino froth and foam with a small amount of insipid coffee at the bottom of the cup. I was spooning the foam out. One place that looked interesting, Auction House, had sadly closed. The Auction House would be ideal for a speciality coffee shop, something Louth lacks and needs. Excellent local strawberries in the front of a greengrocer, but when I popped back, dispaoointed to find sold out. A tea shop that I had looked in, it called itself a coffee shop, but in reality and cafe serving paninis and catering supply coffee, closed at 3-30, many others including shops by four. The streets interconnected by little alleys, one Pawnshop Passage led to a little sweet shop, Jassies. Name to fame of Louth, the Greenwich Meridian passes through. Two days before Christmas, what was to be Christmas dinner at the Butcher and Beast. Er, looks like sirloin steak. A communication problem. What was to be a booking for Christmas lunch, was only logged as a table booking. One would have thought, would have at least asked when booking, is this for Christmas lunch, but apparently not. Was not even aware there was a problem until brought a menu, and queried why. Only then learnt, had not been booked for Christmas lunch. Butcher and Beast is a country pub in the Lincolnshire village of Heighington, not far from Lincoln. The Museum of Lincolnshire Life is well worth a visit. Various Victorian shops, a laundry, a print shop, inside a typical Victorian house, steam engines, a WWI tank, heavy machinery. Lincolnshire is an agricultural county, Lincoln was a centre of heavy machinery. The reason for this apparent anomaly, wealthy Lincolnshire farmers were able to invest in heavy agricultural machinery and steam engines, this powered Lincoln as an industrial centre. The WWI tank that changed trench warfare was designed and built in Lincoln. It was called a tank to fool German spies. One small section, simulates in the trenches with mortar fire. One of the sources of wealth, was sheep, the wool from the sheep. Just inside the main gate, a Victorian postbox. I was surprised to find that it was still in use. The Museum of Lincolnshire Life is a former army barracks. Inside the entrance, maybe a former guardroom, a very unusual barrel vaulted ceiling, made of a pattern of terracotta tiles. The lady at the desk said in the event of explosion, to focus downwards. I suspect the opposite, a big explosion, shatter the ceiling and direct the blast upwards where it would do no harm. On leaving a little cafe. I suggest look to Copper Joe, in the guard house of what was once a military barracks in Winchester. Heighington is a little Lincolnshire village of red brick and stone cottages. 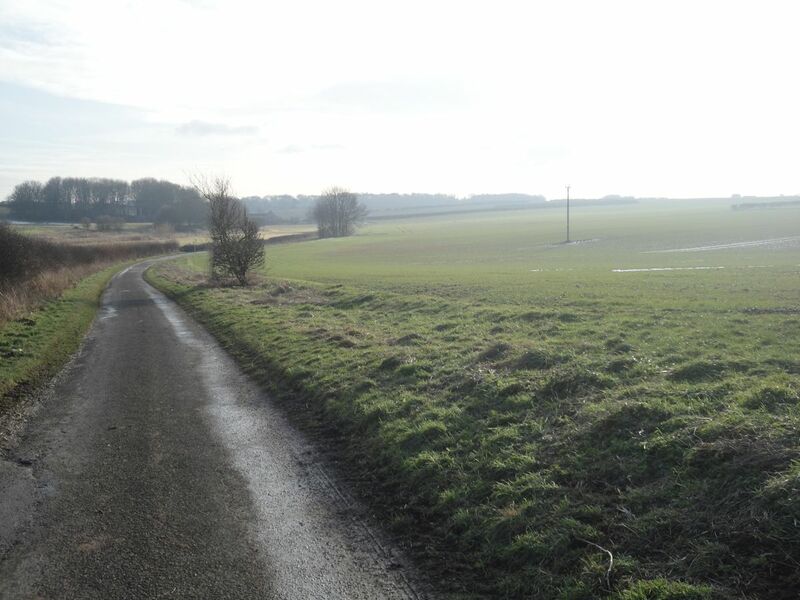 A little after midday, a pleasant sunny spring day in Heighington. Pleasantly warm in the sun. Crocuses and daffodils were in flower. Snowdrops have been out for at least a month. Heighington is a village of stone cottages, narrow lanes, lined by stone walls, with tiles on the walls, not far from Lincoln. If you want excellent pork pies, then visit the local butcher, hidden at the back of the Spar shop. He is famous for the quality of his Lincolnshire sausages. Butcher and Beast is an old pub with an open fire, or was. It serves food, or did. The menu board outside contained blank sheets of paper. A couple of years ago, the food was overpriced and not very good. It now seem to have improved. A small stream, Heighington Beck flows through the village, with a disused mill a little way upstream. There was a tea room by the Beck, but sadly this has closed. Up Church Hill, to the top of the hill, then a little way along Cliff Lane.